Not much else to say. 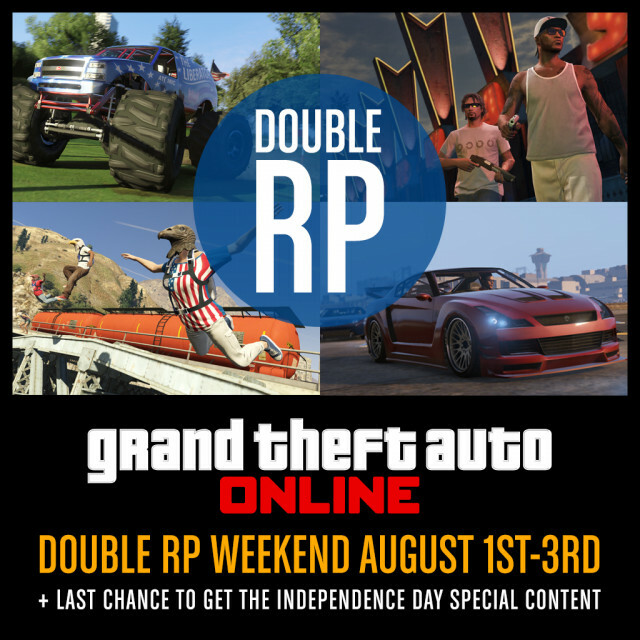 Double RP this weekend in GTA Online and last chance to take advantage of the Independence Day Special items. Beginning tomorrow, August 1st, and running all weekend long through midnight Eastern Time US on Sunday, August 3rd, get 2X RP in GTA Online. All Jobs and other RP-gaining activities like Gang Attacks, Hold Ups, and Import/Export to name a few, will earn you double RP. This will also be your last chance to pick up the limited-time Independence Day Special content, like the Liberator monster truck, Sovereign motorcycle, Musket, and assorted patriotic apparel - so make sure to grab these items by Sunday night! Have fun and join us in the forums! We're working with what we know, we're not precognitive. Is the update coming out Tuesday Treefitty?looks like we are not getting a dlc until next month. This week we should be hearing something about the update. So far we've been getting something every month. Sometimes big updates, sometimes small. Maybe next week they'll reveal something. 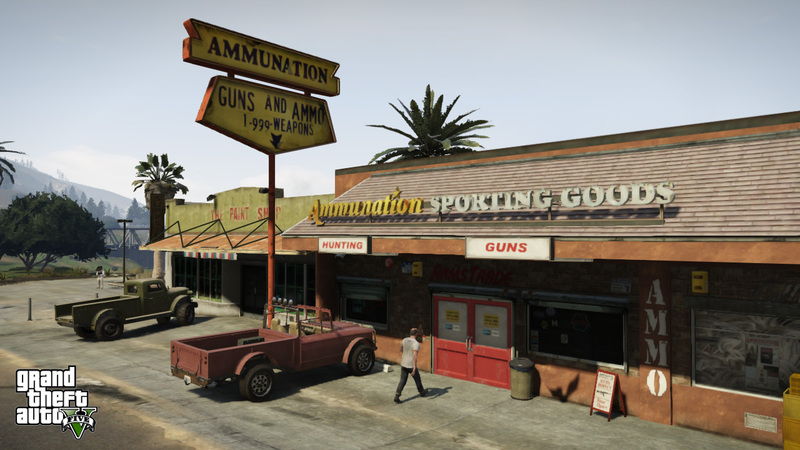 Double RP This Weekend, Independence Items End Sunday - Rockstar is giving us twice the RP this weekend in GTA Online. Sunday is also your last chance to obtain the independence Day Special items.